I’m thankful for my Mother collecting all these pine cones over the past years. I foolishly figured when I needed the pine cones I would just walk out my front door where there is a huge pine tree outside, but this year our tree did not produce pine cones due to an infection. Thankfully the tree can be treated in the spring, unfortunately for this winter no pine cones for me. So, when my mom started dropping hers off by the bags full I was elated. I learned my lesson the hard way and I guess I’m going to become even more like my mom after this incident. Don’t judge me too harshly when you come to my home; I open a cabinet and bags of pine cones come falling out. “Hi, my name is Trina and I am a future pine cone hoarder.” Who wouldn’t be after looking at this gorgeous DIY Glittered Pine Cone Vase Filler. Calling all non crafters, this is the DIY craft you have been looking for. Seriously, don’t let the simplicity of these glittered pine cones trick you, the results are stunningly beautiful. So get out on your nature hunt and find some pine cones, then all you will need is a foam brush, mod podge, plastic cup, silver and gold glitter, VOA LA! Arrange in a bowl or vase and marvel at how crafty you just became. ? I sure picked the perfect day to make these gorgeous winter time pine cones. 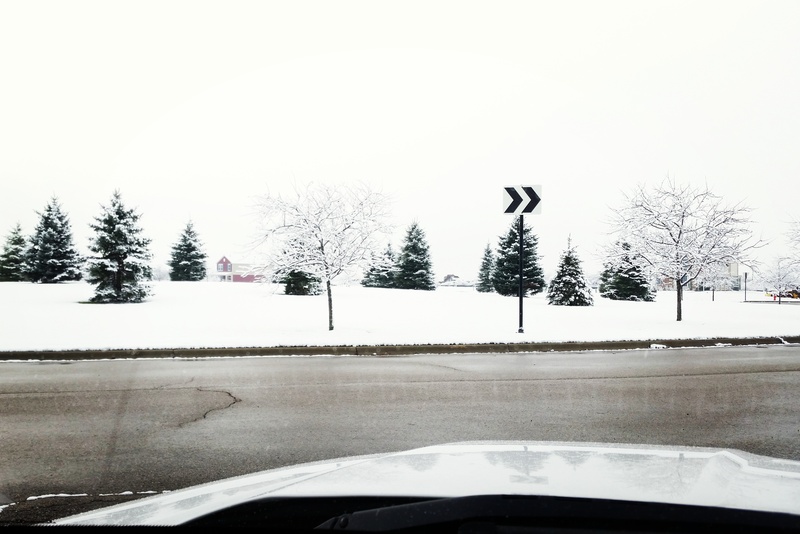 This was the quintessential snowy morning to take a drive. The snow did not stick to the roads but only to the trees, roof tops and grass. Driving down the street it felt as if I was living in a snow globe someone just shook up. B E A utiful! *To kill off any little bugs hiding in the pine cones bake at 200F for 30 minutes, watching closley throughout baking.